The latest Echo Chamber episode comes from Sydney, where Arun Sudhaman sits down with former Weber Shandwick head EJ Granleese, who now runs her own successful consultancy called History will be Kind. Granleese discusses why local boutiques outperform the networks in Sydney's fiercely competitive consumer PR market, a theme that is also taken up by Poem founders Rob Lowe and Matt Holmes, who also join the pod to discuss their experience of building a new firm. After managing US Sen. Marco Rubio’s 2016 presidential campaign, Terry Sullivan and Alex Conant left long careers in politics to start Firehouse Strategies, a public affairs firm in Washington. Sullivan and Conant have grown their business around communications strategies that leverage the power of persuasion, peer influence and “perceived authenticity.” They join the Echo Chamber to talk about how they use the lessons learned from their years of experience on the GOP campaign trail to help clients effectively deliver their messages in, thanks to Donald Trump, a whole new era in modern communications. Stephane Dujarric de la Rivière is spokesperson for the United Nations Secretary-General António Guterres, a position he has held since 2014,after previously holding the same role for Ban Ki-moon and Kofi Annan. 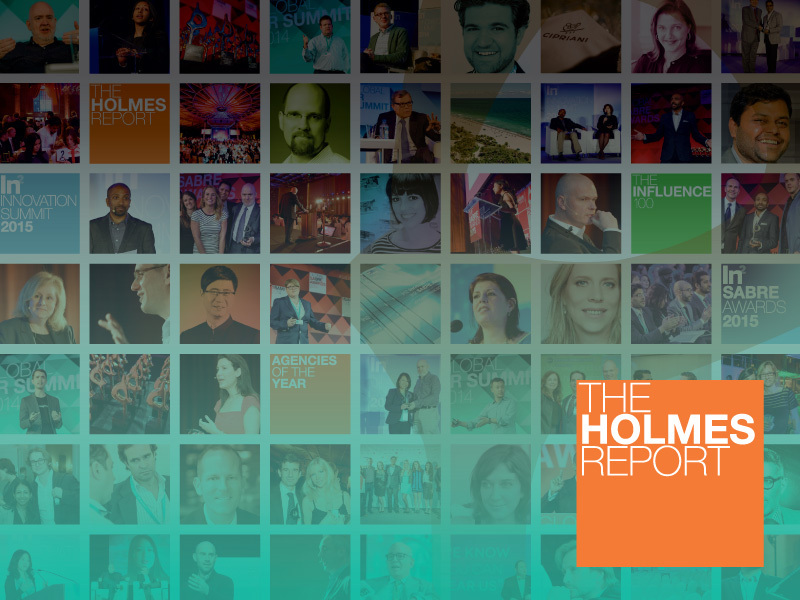 In the latest Echo Chamber podcast, he sits down with the Holmes Report's Diana Marszalek to discuss his unique communications mandate, which he describes as "the best job in the building." Regardless, Dujarric notes that the job has become more complicated amid growing tensions between the more influential member states. Mitch Kaye and Dan Glover built Mischief and now The Academy into two of the most creative comms agencies in the UK. They join the Echo Chamber to talk about how they work together and how they are aiming to grow the agency with an innovative structure. This episode of the Echo Chamber is a rebroadcast of a webinar addressing the PR industry's future challenges including integration, digital evolution and proving sales impact. The Holmes Report's Aarti Shah leads a discussion featuring Laura Brusca, VP of corporate communications at Forbes and PAN Communication's Mark Nardone. Asda'a BCW president Sunil John joins the Echo Chamber to discuss the evolution of the Middle East and North Africa PR industries. John, who founded and built Asda'a into one of the region's pre-eminent PR firms, believes MENA is poised to become the fastest-growing the world's fastest-growing public relations market.. In a recent webinar, Ketchum CEO Barri Rafferty and the Holmes Report's Arun Sudhaman explored the key issues from the 2019 World Economic Forum, including globalization, climate change, automation, CEO activism and much more. Ketchum's London CEO Jo-Ann Robertson joins Maja Pawinska Sims in the Echo Chamber to talk about her first year in the job, including leadership (and being a pregnant CEO), diversity, and her ambitions for the business. The Holmes Report's Diana Marszalek talks through this year's Super Bowl marketing and fan experience efforts, finding them both rather disappointing, on the latest Echo Chamber episode. Joining the show are BCW president Jim Joseph and fan experience director chair Jason Teitler, along with MWWPR president Bret Werner. Zeno Group’s managing director, global strategy and insights Therese Caruso joins Diana Marszalek in the Echo Chamber to talk about what brands need to know to reach “Gen We” – the kids aged 14 to 20 who wield influence in the family, and are radically different than the millennials that marketers have worked long and hard to understand. They have friendships based on shared values, believe success and purpose are keys to happiness and see themselves as their own personal brands.